Plane crashes are an unfortunate reality. While commercial plane crashes have become relatively rare, smaller planes can do and do crash on a regular basis, endangering not only passengers and crew but people on the ground. For those of us who have unfortunately been involved in such a situation involving a commercial or small plane or helicopter crash, it’s impossible to grasp the devastating physical, emotional, and financial toll such a disastrous event can cause on anyone directed affected by the accident. Cases such as these require an expert plane crash lawyer to help ensure that victims or surviving family members receive the compensation entitled to them. The attorneys at the Kamran Yadidi Law Group are the experts in Los Angeles when it comes to aircraft accidents. Through their decades of experience, they understand the ins-and-outs of these cases, including the fact that big insurance companies don’t always pay out the full amount of compensation owed to plane crash victims and families. The services of lawyers who know the tricks manufacturers, air carriers, and insurance firms use is crucial to ensuring that the case stands a fighting chance against powerful corporate players. 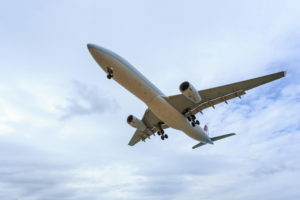 Since most major plane accident cases end up in federal court, it’s important to have a lawyer on your side who is not only an aviation law expert but who also has extensive experience representing cases in federal as well as state and local courts. Even though it may seem daunting to bring a case against large companies with high caliber attorneys, the lawyers at Kamran Yadidi Law Group can level the field and make sure your case is given a fair chance. The Kamran Yadidi Law Group understands that many people assume that hiring a lawyer to represent their case may cause problems financially, which is why the firm works on a contingency basis. This means we receive no pay until we obtain compensation for the client. Having the best and most qualified lawyer can be the determining factor as to whether or not compensation is received. The firm believes that first class legal services should be accessible to everyone, not just those who are financially well off. With a contingency fee basis, victims and family members are not forced to accept the minimal amounts they are likely to be offered because they can’t afford a lawyer. If you are interested in learning more about the Kamran Yadidi Law Group, call us today at the number above or visit our contact page.